You’re going to be shocked to find out how much your liver function impacts your body’s fat loss (or lack thereof). Your liver is often referred to as the “second brain” of your body, and for good reason. Your liver has responsibilities in regulating hormone function, assimilating nutrients, and handling insulin, just to name a few. All of these functions are critical to your health, and all of these functions are also critical to your metabolism. When looking to lose body fat, we tend to jump to the “external” things we can do, not understanding that fat loss is really an inside job. It’s the function and performance of your body’s major fat-burning organs that will tell the tale of your fat loss long-term. We need to do everything in our power to support these major organs in being as healthy as possible. This is really the key to losing fat and keeping it off. Today you’re going to discover how to enhance the function of a member of the royal family of fat loss organs. Long live the liver! Enjoy! What the most regenerative organ in you body is (and why you can’t have it removed). Why whey protein powder can be problematic. What role your liver plays in the creation of fat. What hormone is responsible for fat storage in your body. Why you need to find your carbohydrate tipping point. The truth about how cholesterol in food impacts your body. Why many endurance athletes are getting off of high carbohydrate diets. What bile is and the two major roles it plays in your health. How your liver is responsible for dealing with toxins and waste products. Why it’s critical to avoid synthetic supplements and drugs and much as possible. How your liver interacts with insulin. 5 common culprits that can cause liver damage. The impact that most unsaturated oils have on your liver. How to use olive oil (and not have it hurt you). How alcohol impacts your liver. A resource you can use to find out side effects of common medications. The shocking study that proved how pesticides damage liver function. The 5 tips for a healthy liver. How exercise affects your liver function. What the best supplements for liver health are. How to do a liver cleanse. The Fat Loss Code Program <== The #1 Fat Loss Program on the Planet! Soooo amazing!!! Love listening to both of you. Shawn, you are so knowledgeable and entertaining. You take your work seriously but not yourself. How refreshing!!! I learn so much from you. You are very inspiring. Please continue your podcasts for a very long time. What a wonderful compliment Monique! Thank you so much for the info! My son has issues with his gallbladder and I was trying to get all the info on treating this. Could you please spell the tea for me. I could not get it written down…trying to listen to all the important stuff. Wow, I always learn so much from your podcasts, Shawn. Love how you start out with setting the basis–in this case what the liver does–then get specific about what we need to do. I also appreciate that you treat your audience as intelligent: you don’t hesitate to use technical terms and then you explain them. Truly, you are an educator. Glad to know that I’m already doing a lot of things right, but I took special notes of the specific foods and nutrients/supplements I need for a healthy liver. I know, I gained 25 lbs. by eating extra coconut manna, bulletproof coffee, etc. If you eat too much of any macronutrient you will gain weight. 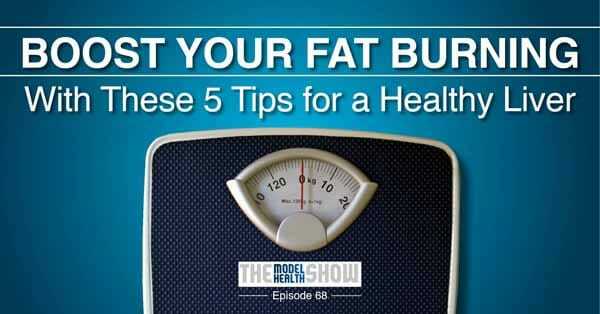 What our bodies are most equipped to do is store carbohydrates as fat. It’s the easiest macronutrient for our body to convert and store. It’s difficult to gain weight eating a high protein and/or high fat diet. Generally, you’ve really got to work hard to put on weight eating that way. If you gained 25 pounds eating fat, and were not trying to, then you should have stopped that approach far before you got to 25 pounds. I would like to know if you were able to find the right approach for you. I hope that you did! And thanks for contributing! Thanks for clearing that up, Shawn! I was curious if you’ve talked a bit about bulletproof coffee on your Podcast? I believe you did during your episode with Ben Greenfield..? Would you please let me know which episode # you discuss this in? I’m definitely a believer in MCT oil (any fat) in coffee as it binds to turpine in coffee to carry the fat across the blood-brain barrier however I would love to hear your insight regarding bulletproof coffee as a “carry over” for IF (intermittent fasting) before working out (pre-workout) and breaking the fast. Thanks! Again, love your show! Yeah I’d love to hear your take on bulletproof coffee also please. I’m not sure that drinking bpc is a healthy choice or not? On the show you mentioned that MSM is a good supplement for liver function. Is there a particular brand or form of MSM you recommend? Shawn, I absolutely LOVE your podcast! As a healthcare practitioner, I feel I get personal CEU’s each time I listen to your show! One question for you though. How do you figure out what your carbohydrate tipping point is? Hi Shawn, excellent podcast! Although I noticed you didn’t mention whey powder? Is this a particular problem for the liver? Hey Shawn,I’ve heard you can get liver damage from too much vitamin A,is that true? If it is,is that from supplements only,or what?